Today’s roof sits above the side doorway leading into Montgomery’s Inn. It’s made with cedar shakes and gives some shelter to guests or trades people who use this side entrance. 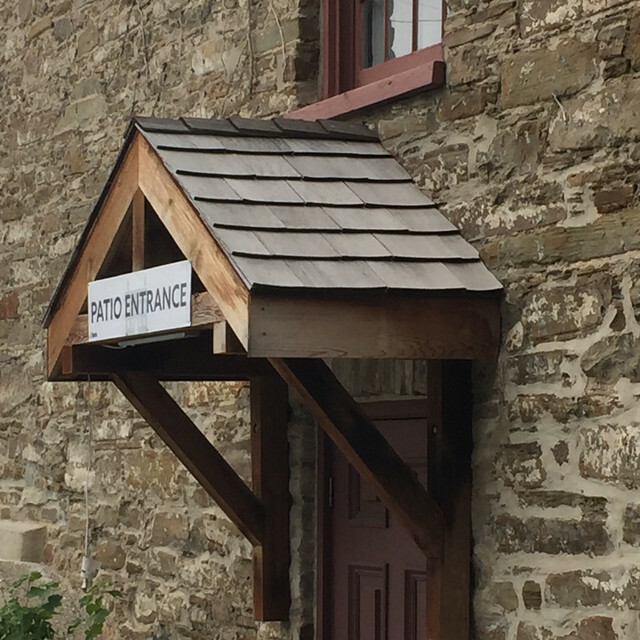 Today was bread baking day at the inn and the brick oven sits next to this entrance. This entry was posted in Architecture, daily photo challenge, Photography, Toronto and tagged Becky B, June 21, June square, Montgomery's Inn, photography, Roofs, side entrance by Mama Cormier. Bookmark the permalink. Intrigued though by the sign! Thought patios were usually outside? It is odd that the sign is on the outside when the patio is right there. The door leads into a gallery/meeting/dining area on the inside.